Citation: Combination of authors, year of data paper publication (in parenthesis), Title, Journal Name, Volume, Issue number (in parenthesis), and doi of the data paper. XwaYeN (Race Rocks) is a showcase for Pacific marine life; including large marine mammals, seabirds, fish, invertebrates and plants. XwaYeN has a rich marine heritage and is culturally significant for several First Nations in the area. The waters surrounding XwaYeN (Race Rocks) are also an important nursery and recruitment area for Northern abalone, currently listed as a threatened marine species by the Committee on the Status of Endangered Wildlife in Canada (COSEWIC). Protecting this area will enhance the protection of this threatened species. In 1980, the province of British Columbia, under the authority of the provincial Ecological Reserves Act, established the Race Rocks Ecological Reserve, which provides for the protection of the terrestrial natural and cultural heritage values (nine islets) and of the ocean seabed (to the 20 fathoms contour line). Ocean dumping, dredging and the extraction of non-renewable resources are not permitted within the boundaries of the Ecological Reserve. Ecological Reserves are areas in British Columbia selected to preserve representative and special natural ecosystems, plant and animal species, features, and phenomena. Ecological Reserves provide the highest level of protection for the maintenance of physical and biological diversity while allowing for research and educational activities. Click here for more information on Ecological Reserves. Race Rocks Ecological Reserve was established to protect terrestrial, intertidal and sub-tidal communities that are extremely rich as a result of strong tidal currents. In 1998, Fisheries and Oceans Canada identified the water column of the area as an Area of Interest (AOI) for MPA designation under Canada’s Oceans Act. As of 2013, it remains a marine protected area designate . Currently, the islands of Race Rocks and the sea floor are Crown Land of the BC Government. BC Parks administers the island as a Provincial Ecological Reserve. It leases to the Canadian Coast Guard, (a division of the Department of Fisheries and Oceans,) the envelope of land around the light tower, which also includes the vertical solar panels and fog horn. BC Parks has given Lester B.Pearson College a 30 year lease to manage the ecological reserve, and all the facilities not leased by the Canadian Coast Guard on the island. At the Race Rocks Marine Protected Area, Lester B. Pearson College hires an eco-guardian who takes responsibility for overseeing the ecoreserve. One of the products made available by the College is the website www.racerocks.com which was created and regularly updated by the resident Ecoguardian and by Garry Fletcher, former biology faculty at Lester B. Pearson College,. The web site hosts 2 publicly accessible remote controlled video-cameras and one sub tidal camera, a log of observations and current photographs of events on the islands, a taxonomy picture gallery, history of the islands and educational curricular resources. Also posted on the web site is a species list for the area. 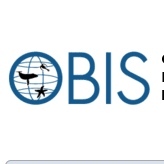 An OBIS resource has been created to publish species occurrence in this area. Pearson College has established long-term commitments to community development projects both locally and internationally. The Race Rocks project is only one project. The students gain real life experience in supporting the development of healthy communities both through the service and activity programs at the College and by volunteering for projects in their home community between their two UWC years or after graduation. At a local level, they take part in programmes for the disabled, visit the elderly or work with disadvantaged young people. In the nearby forests and at the Race Rocks Ecological Reserve/Marine Protected Area, operated by Pearson College, students are involved in taking responsibility for understanding and protecting the environment. General taxonomic coverage description: Plant and animal taxa identified down to species level whenever possible. Method step description: This resource was created by OBIS Canada. Names contained in the Race Rocks website species list were downloaded in January 2013. Names were then mapped to WoRMS/ITIS and spelling variations revised to that of the standard. DwC fields were populated after consultation with the resource creator. Quality control description: Scientific names listed in the website species list have been mapped to recognized standards – marine taxa have been mapped to the World Register of Marine Species (WoRMS), those not contained in WoRMS have been mapped to the Integrated Taxonomic Information System (ITIS). The respective codes (WoRMS AphiaID and ITIS TSN) have been included in this resource in the scientificNameID as LSIDs.